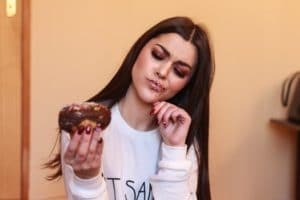 Bulimia is a psychological and often severe life-threatening eating disorder described by the ingestion of an abnormally large amount of food in short time period, followed by an attempt to avoid gaining weight by purging what was consumed. Repeated vomiting can cause serious damage to the teeth. Vomit is especially destructive to teeth because it contains stomach acids. In the mouth, these acids are corrosive, enough to wear away at the enamel that covers and protects your teeth. Brushing your teeth just after you vomit can also contribute to tooth wear and decay. Bulimia can change the colour shape and length of your teeth. Frequent vomiting may cause a swallowing of your salivary glands and the tissues of your mouth and tongue to become dry, red and sore. Vomiting can also wear away at the skin on the roof and sides of your mouth. It can also damage your throat. Frequent vomiting can erode your tooth enamel, especially on the tongue side of the upper front teeth which increases the risk for decay in these areas and can make these teeth sensitive to temperature. Severe erosion can lead to changes in your bite, or the way your upper and lower teeth come together. Your back teeth can be reduced in size and some teeth can even be lost eventually. Tooth erosion can take about three years to become obvious, but not all bulimics experience it. Many people with bulimia may be malnourished, which can cause anaemia, poor healing and increase the risk of periodontal disease. Your dentist may help you and use fluoride treatments and may prescribe a fluoride gel for home use. 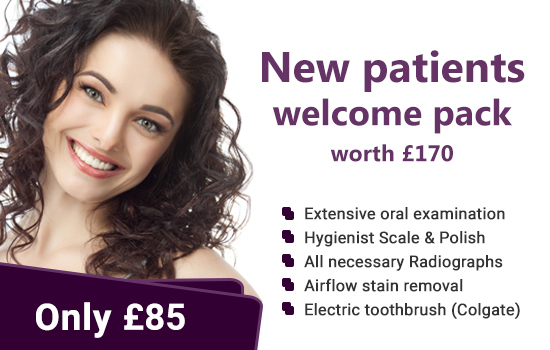 Visit your dentist regularly will help to detect decay or infections. If you have severe tooth damage and are still undergoing treatment for bulimia, your dentist may be able to give you an appliance that covers your teeth and protects them from stomach acids.